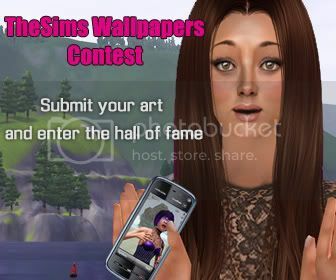 Join the Sims Wallpapers Contest and Enter the Hall of Fame of Digital Artists! Join the group, submit your wallpapers created with The Sims 2&3. The most beautiful, picked by a jury made up by Sims2Cri and Liliana Eden Morosini, will be included in 3D Wallpapers.